Who are you cheering for? No, I'm not talking about college football (although the season does start in 50 days). I mean, who in your life are you cheering on? Or what does that look like? I've got a few thoughts. Living in the DC and working in campus ministry at an elite university, sometimes I'm suffocated by the amount of competition (while other days, it can be so easy to sucuumb to the temptations of ambition). 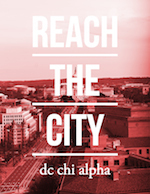 When I first moved to the city for the DC Chi Alpha CMIT Program, I was looking for ways to serve the students in my small group and others that I'd met on campus. I was a little bit at a loss because these students didn't necessarily have the needs I was familiar with: knowledge, resources, vision. For several years, I'd primarily worked children and teenages in low-income neighborhoods where the needs seemed to be more obvious. This was an entirely different scenario! 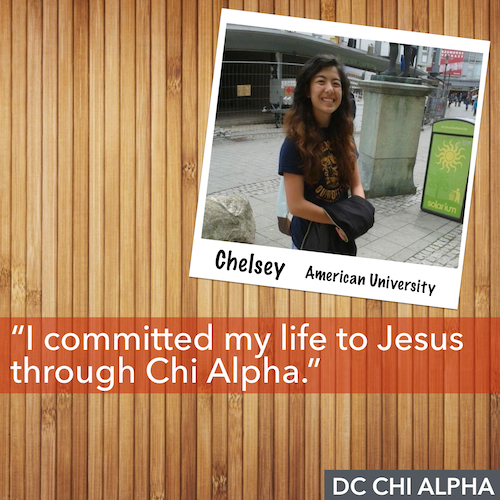 But as I processed the story that God was (and is) writing at Chi Alpha at American University, I noticed something. It was later confirmed by several seniors as we discussed their time involved in our ministry. 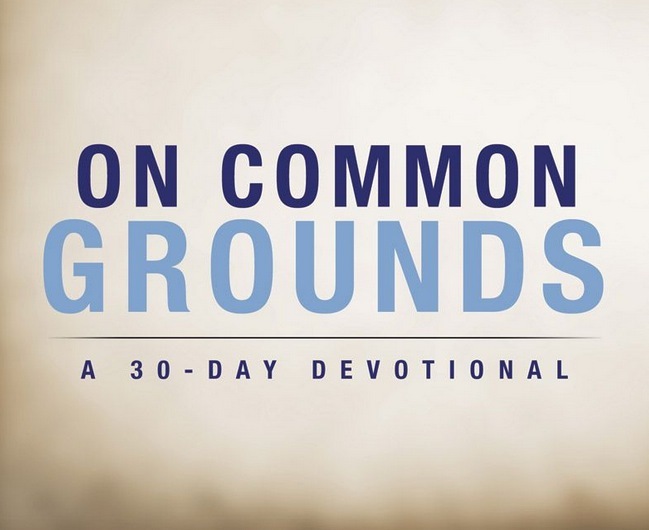 Our community became a place where people found affirmation without competition. I don't know if you've ever been in a community like that. I hope you have. But in some ways, I think all of us have at least one person in our lives who is a cheerleader (for lack of a better word). Like, whether you tell them that you're going to a concert or you're spending a year helping children to learn to read overseas, they're excited for you and want to pack you a snack. Like most things in life that matter, it's going to require intentionality. In other words, it won't happen without us putting thought as to how it'll happen. I think we have to engage in the discipline of listening, for starters. I mean, how can we support people in what they're doing if we're only focused on what we'd like to see them do. Perhaps you have a friend trying to be an artist or someone committed to a certain cause like Relay for Life. Whatever it is, I'm finding that being an influence in someone's life is more nuanced than simply painting a picture of what you'd like to see them do and asking them to make it happen. Instead, it's about supporting them as they pursue their dreams, as their potential leaks out amidst a competitive society, they'll need someone clapping behind them as they run towards doing something amazing. It takes more time than applying a cookie-cutter to people but the results are always better. I've got to admit, I'm not the best at this, but I've had a handful of people in my life that have done this for me and I can tell you, it makes a difference. The next thing we have to do is find ways to express to this person that we're rooting for them, that we're on their team. So, telling them is a great option. It's strange how often we expect people to know how we feel without ever telling them. It sounds obvious, but how many of us do it? Yet there's another level you can take this to. Find ways to engage and participate in the things they're passionate about. This is what affirmation, in my opinion, looks like at its best. Its people intentionally and deliberately recognizing how God is working in people's lives through their giftings and talents, then simply yet boldly using our voices and our time to let them know we as committed to them as they are to whatever they're doing. We've probably all heard the cliche, "People don't care how much you know until they know how much you care." Although I believe it's true, let's take it a step further. People are most influenced in the context of relationship (see Mark 2) or as I've heard it more recently, "People may not remember what we tell them but they'll never forget how we made them feel." The last and perhaps most difficult thing it takes to make this sort of impact on someone, is the continual refocusing from self to others. Yet, it's so essential to the message of Christ, we can't ignore it, no matter how many times we failed or how tiring it is. I hope that you experience the joy and fulfillment of cheering on a friend, loved one or relative. And remember that as you do, you're embarking on a journey to become more like Christ while infusing courage (the definition of encouraging) someone else who's also somewhere on that journey.